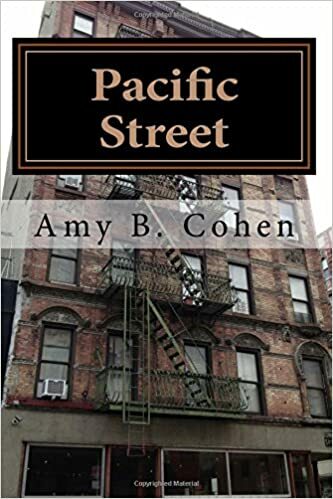 This entry was posted in Books, Brotmans, Genealogy, Goldschlagers and tagged brotman, genealogy, goldschlager, Pacific Street by Amy. Bookmark the permalink. Hurrah! It’s so wonderful to hear your voice and learn about your novel (which I had somehow missed). You give a terrific interview! Yes, it’s a universal story in all its particulars!!! Good job, Amy! And congratulations! Wow – very exciting and great interview Amy! I enjoyed listening to you talk about the book and your research. I especially liked the advice you gave to people who are starting out! Thanks, Cathy! I wish someone had told me from the start not to trust those hints and trees on Ancestry without corroboration! I was lucky to have started out before Ancestry had hints in trees. 😉 The wonderful helpers on the mailing lists on Rootsweb were my mentors starting around 2000 when I turned to the internet. I still am in touch with many of them although some have passed on. Wow, no shaking leaves? Hard to imagine Ancestry without them. And yes, mentors are so important. I was in touch with mine for quite a while, but she got so busy that now we are just Facebook friends. Hello Amy, I just listened to the interview. My views on family history are based on the same premise that our children are not interested in just reading the bare facts (mostly uninteresting vital statistics) about our ancestors. So you have chosen the right path in writing a novel that depicts the lives and struggles of immigrants in a way appealing to young readers. This is the same idea that I am trying to realize in my Klopp family blog. Thank you for publishing this most interesting interview! And you are definitely doing just that with the blog, Peter. I can imagine what both you and Biene were like as a young couple from your letters and your descriptions of the circumstances. Hi Amy, lovely to hear your voice and such good advice for newcomers to genealogy. Thank you, Shirley! Glad you liked it. Thank you, Su! Glad you enjoyed it. Great interview, Amy. You’re famous! LOL! I am happy for any exposure for the book, but fame seems quite distant (thank goodness)! Hi Amy. I’m catching up on postings to my Reader. I listened to the interview and agree with what you were saying: we don’t always picture our grandparents as being young nor do we have any idea of the difficulties they went through if the family did not share the stories. I think the way you present your history through the blog is natural and engaging. I hope you are saving every posting for off-line publication. You will have an entire bookshelf for your grandchildren very soon. Thanks, Emily. I actually publish my blog in hard copy through Lulu about four times a year so that I have a “permanent” copy. I am up to Volume 14 and almost ready for Volume 15. It’s easy and free (except for buying the copies of the book), and although they aren’t shiny and professional, they serve my purpose well.